The 2005 Bakken Oilers team is currently being formed. Given the tremendous interest from elite players around Western North Dakota and the Twin Cities area, this will be by both invite and open tryouts to be scheduled. If you would like to be considered for the 2005 Bakken Oilers, please contact Team Organizer Stacey Diehl. 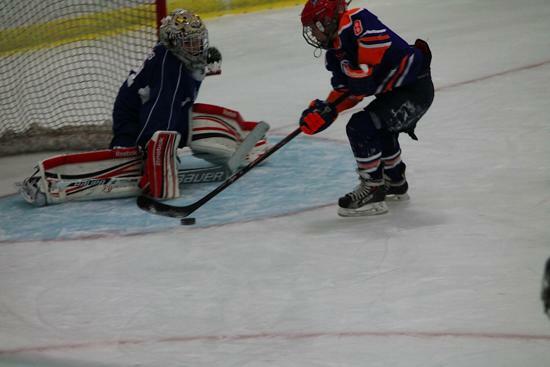 The 2005 Bakken Oilers team is building on its core of already commited talented players to form an elite team that will play top competition during the 2015 AAA hockey season. Following the model of our most successful teams, elite players from Western North Dakota and the Twin Cities area have already committed to the team and invites are out to players from Fargo, ND, Grand Forks, ND and Canada that have expressed interest. This team will be by invitation and open tryouts may also be scheduled. If players are interested in joining the 2005 Bakken Oilers, they should contact Team Organizer Stacey Diehl to be considered.